This is the public profile of Hee-Jun Sim, Additional information and high-resolution images are available for accredited press members, to access additional information about Hee-Jun Sim please login as a press member. About Hee-Jun Sim : Hee-Jun Sim is a founding partner of ArchiWorkshop. He participated an exchange student program at ETH Zürich and honored Vordiploma and Diploma at the University of Stuttgart in Germany. Since then, he worked in broad range of European offices, such as RPBW (Renzo Piano Building Workshop) in Paris, Herzog & de Meuron in Basel and Rasch & Bradatsch (SL-Rasch) in Stuttgart. He was lecturer at Korea National University of Art design studio. 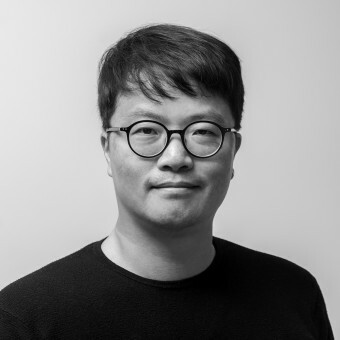 Currently, he is a adjunct professor at the university of Seoul and committee member of Korea architects institute. I am an Architect, who think, create, enjoy and share everyday Architecture. The title 'ArchiWorkshop' has two meanings. One is 'workshop of artisans (workshop)', and the other is the meaning of 'attacking and defending to each other through discussion'. From a result perspective of view, architecture is a visual work. But at the same time, its origin accompanies philosophy and rational thinking. For that reason, we discuss and converse as much as sketching and this approach allows us for more efficient operations and results. We, ArchiWorkshop, think, create, enjoy and share everyday architecture. Our 'Everyday architecture' has meaning of high level of architecture, namely, architecture with healthy environment and expansion of this architecture culture to more people to share. Numerous of projects were published continuously in international and local media such as Archdaily, Designboom, Dezeen, Architizer, Homify, La Repubblica, RTL, Domus etc. Each year, multiple number of projects are published in various medias. Press Members: Request an exclusive interview with Hee-Jun Sim.